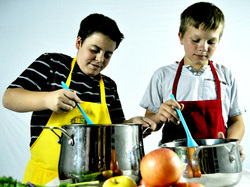 Welcome to Kids in the Kitchen, a branch of Children's Culinary Institute! We specialize in cooking with children and offer preschool and homeschool cooking classes, as well as after school cooking classes. Located in Peoria, Arizona, we are happy to serve the kiddos in the west valley. 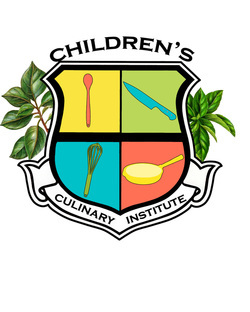 *If our classes or schedule or location do not meet your needs, please visit the Children's Culinary Institute site to find a location near you with classes and times that suit your needs. The most obvious benefit of children cooking is that they actually learn HOW to cook in a hands-on setting. Most schools have done away with basic life skills classes, such as cooking and Home Economics. Kids in the Kitchen is aiming to provide this important skill back into our kids' lives, using real foods. The more our children have experiences in the kitchen, the more likely they will be to making healthy food and eating choices for years to come. Many other important skills are learned in cooking class, all of which are necessary for daily living. *Each homeschool and after school student is required to wear the uniform apron and bring the cooking binder (starter kit fee covers these materials). 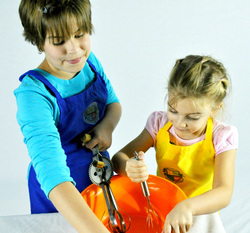 I provide aprons for preschoolers or they are welcome to wear their own to class (no starter kit fee for preschool). *Please be sure to list any and all allergies on the registration form. *Part of the teaching method is to expand the taste pallet. The children are required to taste everything made unless there are allergies. *All classes at this location are gluten free, but are tasty for students who are not gluten free as well. *All classes must have a minimum of 3 students registered in order to hold class for the month or that class will be cancelled. *Make-up Class Policy- Currently I do not offer make-up classes. All materials and food are purchased ahead of time (the day before class so that it's fresh), therefore whether your child is in attendance or not, the food and materials have already been purchased for them for that particular class. Another reason I don't offer make-up classes is because all of the preschool classes make the same recipes and the Homeschool and After School classes make the same recipes. For example: If your child misses a week and wants to make up the class the following week and attend their normal class, they will essentially be making the same recipe twice. We will have classes regularly scheduled classes August-November. During the month of December, holiday cooking & baking workshops will be available. Find out more HERE.